Will explore option of lifting fodder beet and feeding to fodder beet milkers as a supplement. 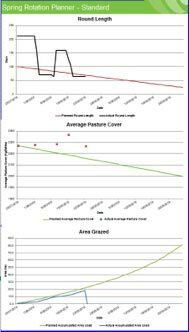 “Banked” area in the SRP will be used to increase the pasture allowance this week to achieve targeted intakes for the FB herds without supplement. We have 30 replacement calves to still collect, keeping 25% replacements from each farmlet rather than 25% across the whole farmlet. Colostrum cows are being moved on early to prevent damage to paddocks and where necessary the Kale dry cows will be used to clean up. 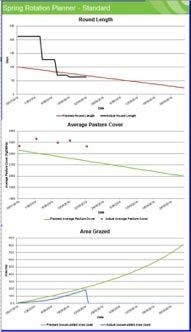 Negative growth has been excluded from the calculated average growth rate because of error messages from the C-Dax due to soil on the senses, wet conditions and clumps of grass throughout the paddocks. Lime flour dusting will commence this week due to issues with cows coming off the fodder beet. This will become a routine to all colostrum cows going forward. Blood samples were collected from the R1’s when they were through the yards for weighing last week. A mineral supplementation plan will be based on the results which we expect any day now. 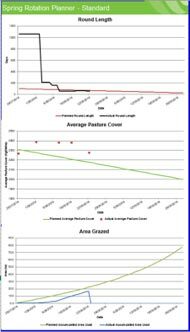 This week we have taken pasture samples from the paddocks being grazed by the milking herd to estimate N and ME intake. Milk samples have been collected from 40 milkers that exceeded 200 000 SCC on the first herd test. Because of the Staph aureus issue in the herd last season we are culturing all high SCC cows to determine the extent of the infection in the herd. This will be routine until we have a good profile for the herd.